Hello, hello! Are you getting tired of me yet? I hope not!! Because here comes freebie number four! This is a math version of "Read the Room". 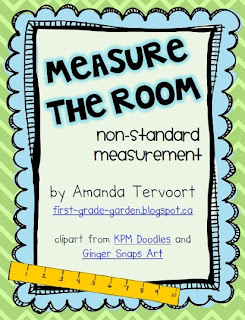 It's called "Measure the Room"! 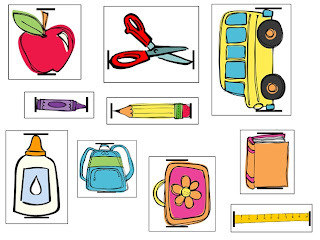 There are ten different cards, featuring cute school supply clipart from the amazing KPM Doodles. 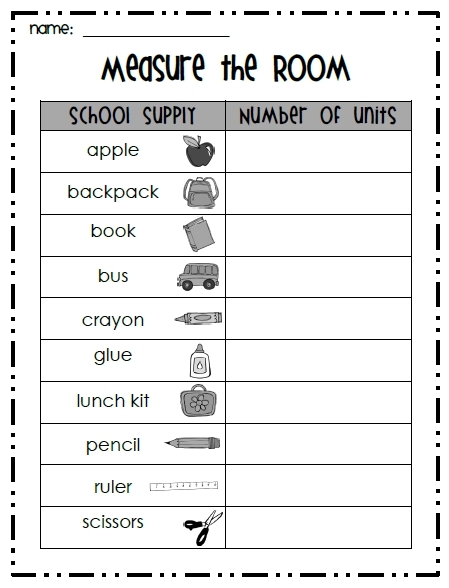 The cards can be posted around the room (or you can keep them in a basket as a stationary centre) and students use any non-standard measurement tool to measure the length of the objects on the cards. You can use unifix cubes, paper clips, plastic links, etc. to measure with. Students record the length on the recording sheet. Click the picture below for your freebie! I am loving your Math freebies! Thanks!! Thank you for this freebie. 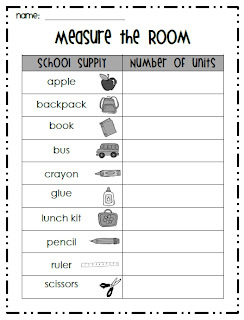 My job as part of my first grade team was to find us new measurement ideas and Wha-la found one on your site.